In three hours or less, eight guests with varying religious beliefs were served during the September 8 Worldwide Bible Exposition. MCGI’s Overall Servants Bro. Eli Soriano and Bro. Daniel Razon were able to address the guests’ religious curiosities through answers coming straight from the Holy Scriptures. 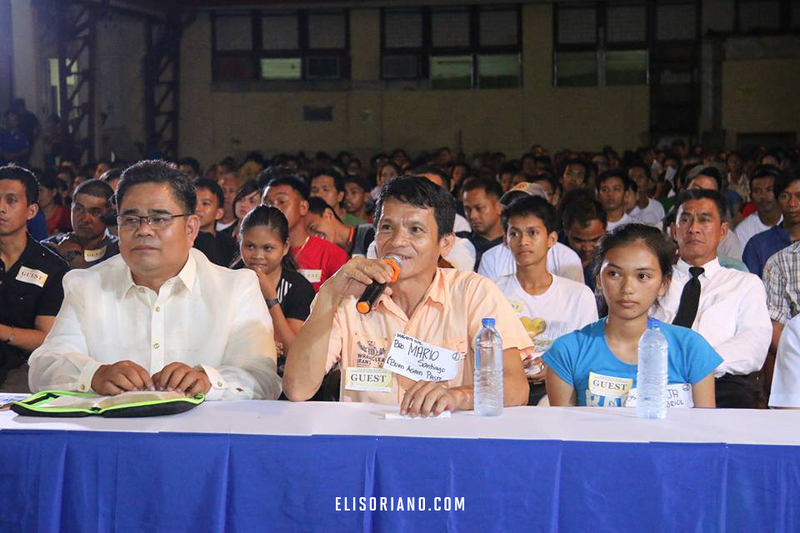 Among these queries was asked by Bro Eugenio from Casiguran, Aurora. He inquired Bro Eli about where and when was the Lord Jesus Christ born. The takeoff of the “Ber” months and the approaching Yuletide season known to members of the Roman Catholic Church led the guest into such question. Bro Eli immediately stated that the December 25 “Birth of Christ” most people celebrate is incorrect. Citing the Catholic Encyclopedia, Bro Eli explained that even the Catholics acknowledged that December 25 is not the true birthdate of Christ. In the first 300 years of Catholicism, they did not celebrate Christmas on December 25; instead, this annual celebration is merely a product of a fictive routine or tradition. The international televangelist then read Luke 2:1-12 and explained the story of the birth of Christ – how Mary and Joseph travelled to Bethlehem where Christ was born, during which there were shepherds keeping watch over their flock. From this, it can be inferred that the birth of Christ did not happen on a winter season, hence debunking the Christmas day many people believe now. Bro Eli briefly explained that the real birthdate of Christ will fall – through estimates – on either the last week of September or the first days of October according to the Gregorian Calendar, pointing out that they used the Hebrew calendar back then. Bro Eli construed this from the birthdate of John the Baptist – whose mother Elizabeth was the cousin of Mary – who was accounted to be six months earlier than Christ’s. Bro Eugenio expressed his satisfaction with Bro Eli’s explanation, relating that it became clear to him that Christ was not really born on December 25. 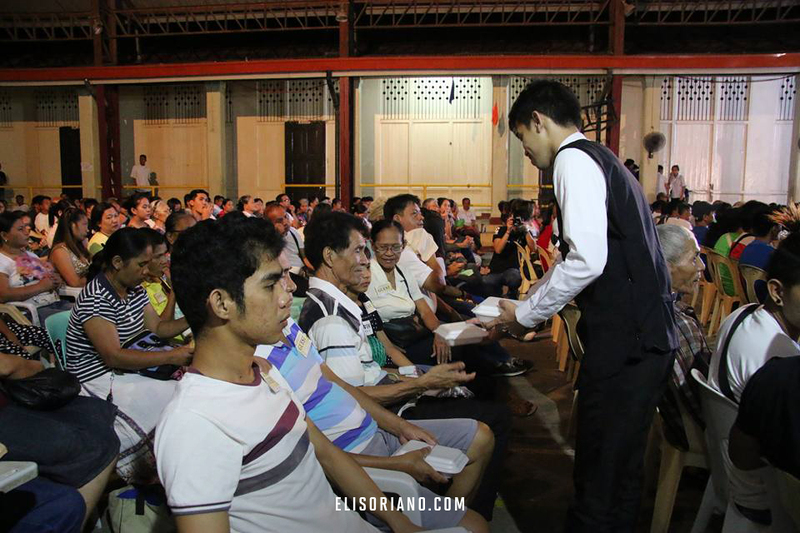 Another question during the Bible Exposition was about which religion will bring salvation to people, as inquired by a Born Again pastor from Lucena, Quezon, Mario Santiago. Reading John 4:23-24, Bro Eli pointed out that the Lord Jesus Christ worshipped God, and that Christ has a religion. But what is his religion? In Matthew 28:20, Christ told the Apostles to teach his commandments which came from God. The Apostles then wrote Christ’s teachings in the Holy Scriptures from which anyone seeking for the true religion should base upon. Bro Eli proceeded by reading the 11 verses in the Bible which contained the words “Church of God,” including Acts 20:28. Bro Eli concluded his answer by saying that people must understand that there is a Church built by Christ and that is the Church that people should belong in. The other questions featured were about the truth about curses or malediction, about world pollution, and about how to bring one’s family closer to God, among others. All eight guests were situated in eight local points in the Philippines and in abroad. 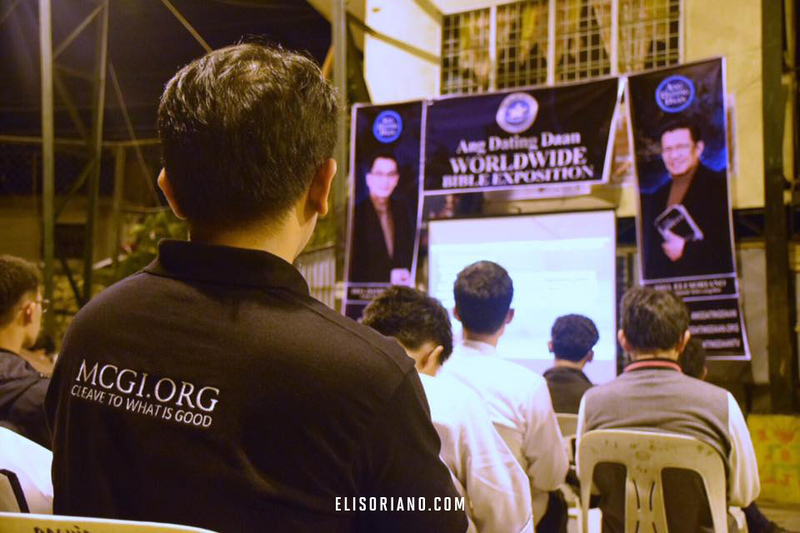 With God’s help, the Members Church of God International’s Worldwide Bible Expositions centered in the Philippines have been mounted weekly beginning July 2017, in line with the Church’s intensified efforts to propagate the Gospel of Christ. MCGI’s Worldwide Bible Expositions, hosted in the Philippines or in South America, are broadcasted live in Facebook and in Youtube.